We are proud to introduce you the unusual style of two polish cultures - freeskiing & hip hop. Experience pure Slavic blend. This unique fusion gives you a glimpse of our traveling lifestyle; constantly on the road with the “ride all day, party all night” attitude. 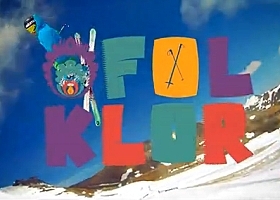 “Folklor” features the performance of the best Polish riders e.g. : Bartek Sibiga, Piotr Wojarski , Szczepan Karpiel, Robert Szul, Marek Doniec, Marcin Pospiech, Andrzej Wlodarczyk, with guest appearance of our friends from abroad such as James Woods, Andrew Matthew, Joseph Tomlinson, Martin Horak, Honza Balcar, Juraj Bernat, Flo Geyer, Christian Bieri, or Andreas Burri. Travel with us through the best snowparks in Europe and the streets of southern Poland. We are stoked to show you our first ski movie, that we managed to create without any budget from sponsors, but with a lot of help from our friends. Play it HD, full screen and with a turned up volume. Hope you like it!